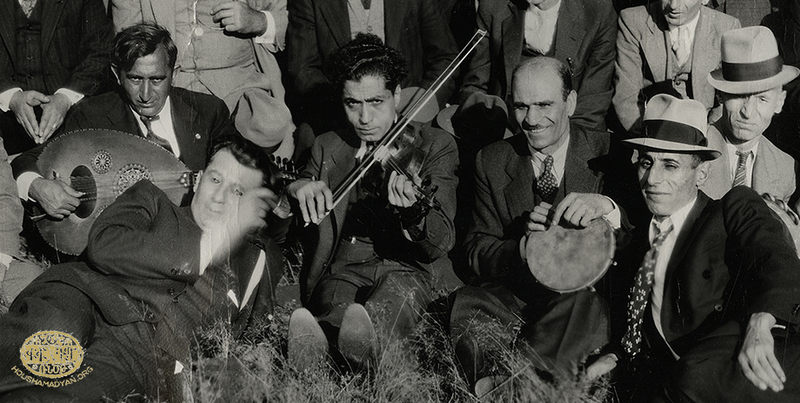 A nature hike organized for Hussenig (located in the plain of Harput) Armenians, on September 22, 1935, in Rehoboth, Massachusetts. Detail from the original picture (Source: Avdoyan collection, Washington). Aram Zipper and Bedros Alahaidoyan met in the Armenian nursing home of Fresno, California, on October 30, 1986. 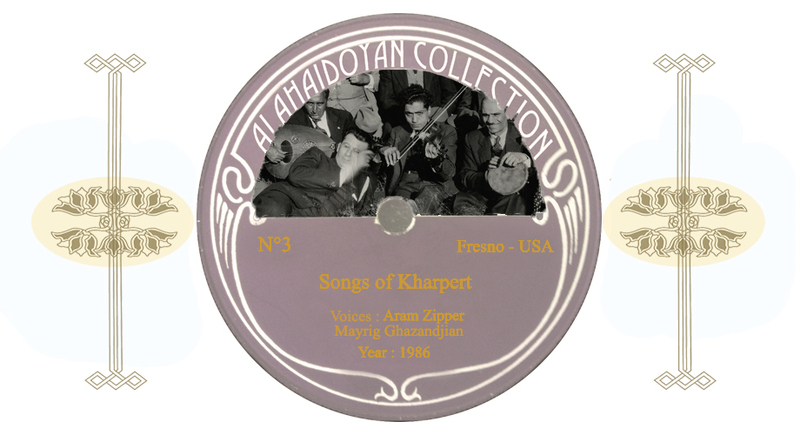 Mr. Zipper states that he himself was born in Harput/Kharpert, and had heard his uncle sing some of these songs. He also remembers that his uncle would make his own saz (iki telli saz) using a piece of wood from a tree stump. He would scoop out the wood and stretch two strings across it to make the instrument. Then, he would sit outside of the family’s ancestral home and play and sing old folk songs. Aram’s uncle was the oldest of five brothers and sisters. 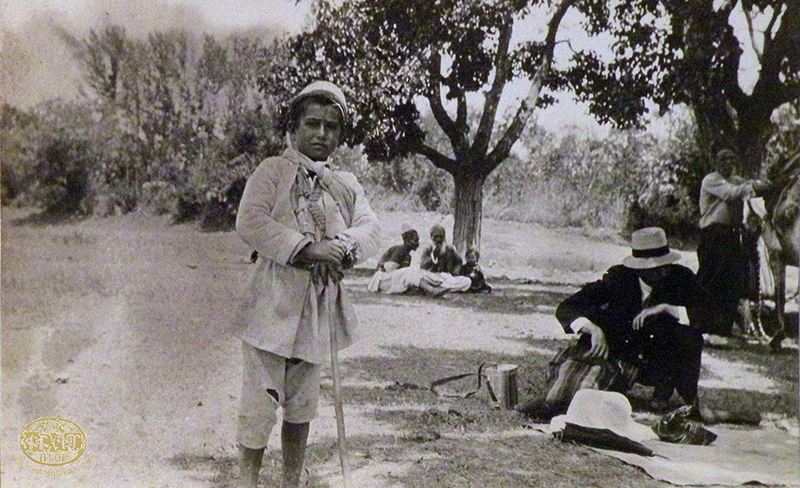 Aram’s own father was the youngest child of the family. Aram recalls that his father was not a craftsman, but was rather engaged in various types of labor. He was killed during the Genocide. 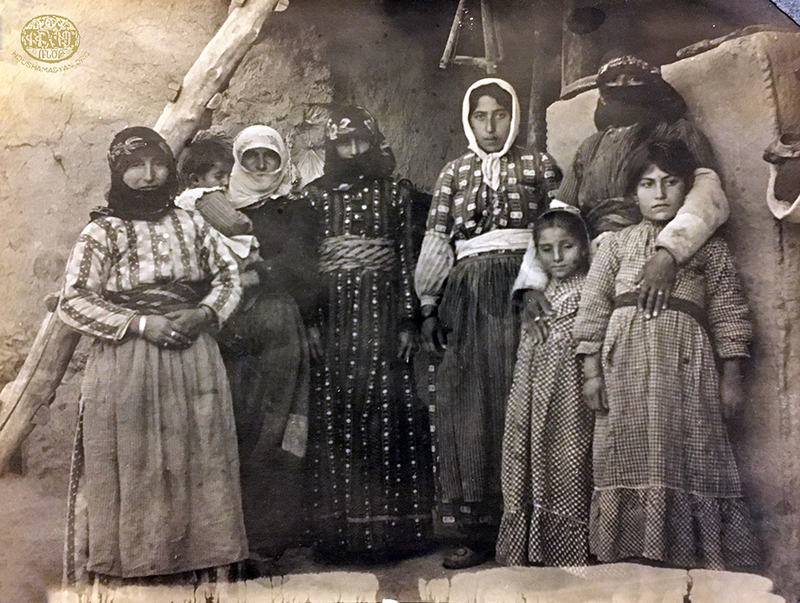 An Armenian family in the town of Harput/Kharpert (Source: Amherst College, Archives and Special Collections, William Earl Dodge Ward Papers). That it’s the year to marry. By this blow of love. 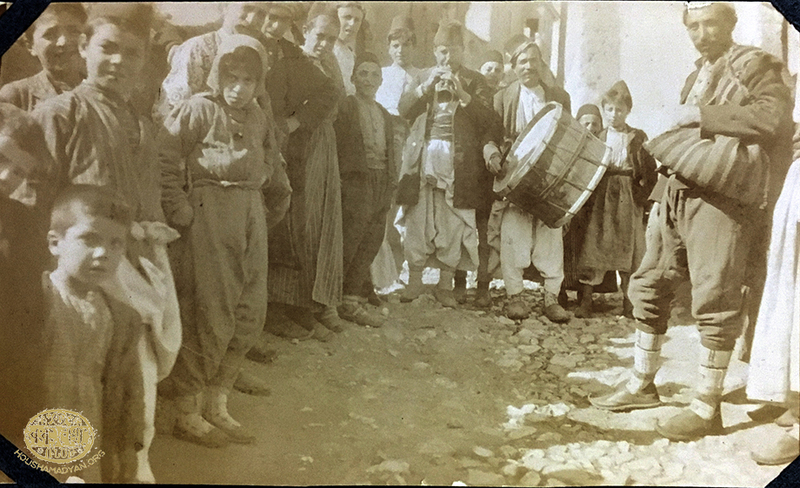 A festive atmosphere with accompanying musicians, most probably in one of the streets of the city of Harput (Source: Amherst College, Archives and Special Collections, William Earl Dodge Ward Papers). And the bedbug will dance. 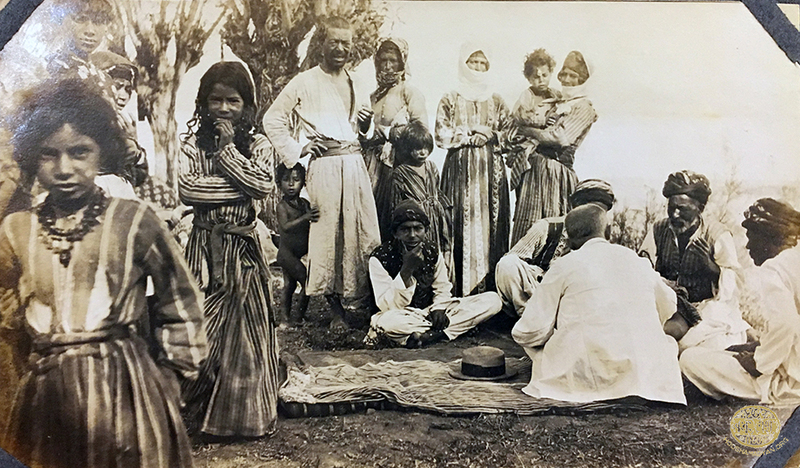 Kurds, most probably in the region of Dersim, in the north Harput (Source: Amherst College, Archives and Special Collections, William Earl Dodge Ward Papers). Mayrig Ghazandjian and Bedros Alahaidoyan met in the Armenian nursing home in Fresno on November 3, 1986. Mrs. Ghazandjian was born in Harput, to the Diranian family. She was deported when she was only 10 years old, and eventually made her way to Aleppo. Many years later, in Aleppo, she learned conversational western Armenian; hitherto, she spoke only Turkish and Kurdish. When she met Alahaidoyan, Mrs. Ghazandjian suffered from asthma, as she herself states after singing this song. Come back Dagdi, dear Dagdi!